One of the most common misconceptions about writing for young adults is that it's easier than writing for adults. This is entirely untrue. Writing YA fiction involves all the same challenges as writing adult fiction (with a few additional aspects thrown in as well). For this reason, there are quite a few mistakes that are commonly made by YA writers, especially if they're new to the craft. From falling prey to tropes and clichés to being didactic in your themes, there are a lot of ways you can inadvertently jeopardise the success of your story. Let's take a look at five common mistakes to avoid when writing YA fiction. This is one of the most common mistakes many YA authors make: writing dialogue that sounds nothing like the way teenagers actually speak. Writers of contemporary YA must be particularly careful of this. Those writing things like medieval-setting fantasy or historical YA fiction don't have to make their dialogue sound 'modern' or authentic in terms of today's society. But authors of contemporary fiction have to make sure their dialogue is relevant to the modern audience. If you're an adult author writing for a young adult audience, you need to keep in mind the gap in experience and understanding between you and your readers. And that gap can appear most obviously in dialogue. 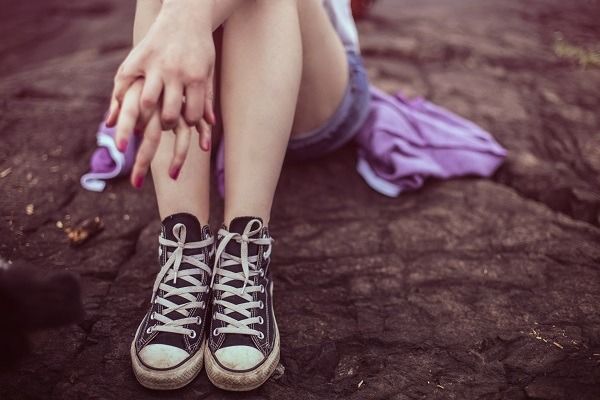 If you grew up in the 80s or 90s, your experience of being a teenager – and the way you spoke as a teenager – will differ greatly from the experience of teenagers today. And while teens won't be your only readers ('a lot of "non-young adults" are reading teen books, too', as this article points out), they should be the primary audience for whom you're writing. Thinking back to your own young adult years is a great way to get 'in the zone' for writing YA fiction. But be careful not to rely on this too much, especially when writing your characters' dialogue. You'll need some idea of the language and communication patterns and habits of today's teenagers. So go talk to, and, more importantly, listen to them. Engage with your younger relatives or friends. Eavesdrop (not creepily) on conversations in public spaces. Consume books, movies and TV shows that feature modern teenagers. In real life, very few teens speak entirely in 'LOL's, 'OMG's and 'WTF's. If you overload dialogue with slang terms you think are 'cool with the kids' at the moment, you risk your dialogue coming across as forced and unrealistic. Plus, by the time it's published, that slang will likely already be dated and out of use. This isn't to say you can't include slang at all; just be wary and quite sparing in its use. We recommend checking out popular YA books like Angie Thomas' The Hate U Give for examples of well-written slang in both dialogue and character narration. Let's be real: most authors dream of having their work immortalised in quotes on mugs, T-shirts and Pinterest boards all around the world. But when you start writing with this aspiration in mind, your words can start to sound inauthentic – especially in the context of dialogue. You can afford to take a few liberties with dialogue, as we discuss in our five golden rules. No fictional conversation sounds exactly like a conversation from real life. But in YA fiction, authenticity in dialogue is even more important if you want a good response from your audience. Yes, your characters can share witty banter and say beautiful things to each other. But remember: just because something sounds good on a Pinterest graphic, doesn't mean it's something a character would actually say. Clichés are rife in every literary style and genre (especially fantasy!). YA fiction is no exception. And for most YA writers, the danger of clichés lies most prominently in the area of romance. Romance is a common element throughout all types of young adult literature. This isn't a surprise; most YA protagonists are at the age where they're discovering love, relationships and sexuality for the first time. Romance is also used often as a source of conflict. If your YA fiction involves two characters instantly falling for each other the minute they meet... Well, let's just say you should prepare for some backlash! The prevalence of 'instalove' in YA fiction is a common complaint from readers, and is rarely (if ever) received well. So if you're planning to include a romantic aspect to your story, you must be sure to develop it thoroughly and convincingly. This comes back to being realistic and authentic in your storytelling. You can have attraction at first sight, yes, and your characters might even feel some sort of strange instantaneous connection. But never present this as immediate 'love'. Falling in love should be part of your characters' journey and development, not an instant standalone event. Yes, love triangles are a way of adding conflict and increasing drama. But if that's the only reason you're including one in your story, it's time you ask yourself: is this really necessary? If the natural progression of your story involves some type of love triangle, then by all means go for it. But just be aware that this angle has been used over and over again, so unless you can bring something fresh to the trope or it's an essential aspect of your story, it might be a good idea to rethink your romance. The first rule of YA writing should be: never underestimate your audience. Just because you're writing primarily for teen readers doesn't mean you should change your writing style in an attempt to 'talk down' to them. In fact, if you do this, they'll definitely notice – and they won't appreciate it. Yes, a lot of YA fiction is written in a different style to, say, an adult literary fiction book. Many YA novels are often a little less 'literary' or poetic, a little more straightforward and plot-driven. But this isn't true of every YA book, and when it is, it doesn't mean that the language or writing style has been 'dumbed down' for the audience. 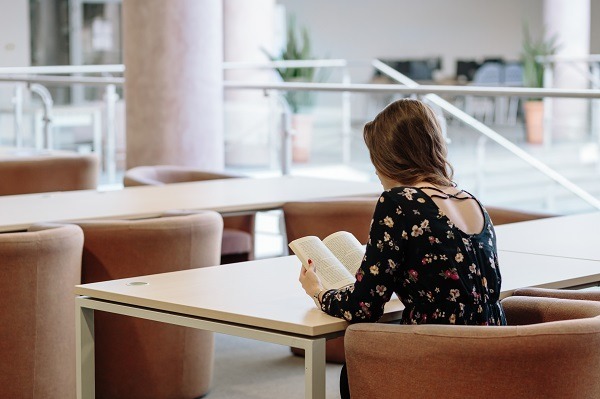 One of the enduring misconceptions about YA fiction is that it’s dumbed down, that writing for young readers means writing in a way that’s easy for them to comprehend. [It is estimated] that about 60 to 65 percent of YA fiction is written in the first person and present tense, not because YA readers can’t handle complexity ... but because the simplicity and immediacy of that particular style helps writers develop the voices of their characters." If you try to write more simplistically in an attempt to cater to your audience, you're underestimating your teenage readers (and forgetting entirely about the large proportion of adults who also read YA). Use the writing style that works best for you and your character, and never adopt an attitude of 'talking down'. The young adult publishing industry is heavily influenced by trends. You'd be forgiven for thinking that this suggests you should try to capitalise on trends in order to be successful – but in fact, the opposite is true. Think about it. By the time you write, edit, and submit/self-publish a novel catering to a current trend, it's almost guaranteed that the trend will have been displaced by a newer trend. Furthermore, there'll likely be a huge amount of writers doing the exact same thing – meaning an influx of similar books all hit Amazon or publishers' slush piles at the same time. Your book will be lost in a sea of other vampire fantasies or dystopian trilogies. So our advice is this: be aware of trends in YA fiction, and read widely to get an idea of what works and what doesn't, but never try to write to trends in order to be successful. Write the story you want to write, the way only you can write it. Authenticity and uniqueness go much further in helping authors succeed than trend-chasing ever will. Let's be clear on something here: YA readers will instantly be able to tell if you're pushing hard to deliver some sort of message through your story. That's not to say that you can't imbue your YA fiction with meaning. Quite the opposite: YA fiction can be a keen source of social commentary and a great avenue for exploring a variety of issues. But if it comes across that you're preaching, proselytising, or using your story solely as a means to deliver a moral message, be aware that your readers will pick up on this – and they might not appreciate it. In general, readers don't like to have things foisted on them. They prefer to draw their own conclusions and make their own minds up about what they read. Teen readers especially might rebel against the thought that an adult author is trying to shape their opinion or tell them what to think. Nothing turns off a child or teen faster than lecturing them about what to think or do, even if that lecture comes from a character in your story, not directly from you." Remember that it's up to your reader what they take away from your story. If you have something you want to say, be subtle about it; it should be an underlying element or theme in your novel, not the sole purpose of it. YA readers: what are your biggest pet peeves in YA fiction? YA writers: how do you avoid falling into the traps of tropes and clichés in your work? Thank you the post. Well structured, relevant content, brief. That’s what a teacher might say. As a student, I say, spot on! ‘N jammy…I did grow up in the ’80s, that would be the nineteen eighties, but I find myself doing a lot of research on just what the heck was going on back then. One thing that can really pump a story, especially dialogue is, “nailin’ it”. But now, I need to be relevant to keep an audience. So just what are the language limits in modern YA? I’m working around that with my main character’s best friend being philosophically opposed to profanity. This allows me to “keep” the MC on his P’s and Q’s. It is also a great thermometer gauge for levels of conflict, the closer the secondary comes to a four-letter word, the more intense the scene. You’re very welcome – so pleased to hear you enjoyed the post! Sounds like you’re working some interesting aspects of language into your story – it should definitely make for some interesting dialogue and conflict. All the best of luck with your writing! great advise and suggestions Claire! what do you suggest about a little blend of historical and contemporary moments in YA fiction?